Oxford University researchers developed new technology based on phase-change materials (similar to ones used in re-writable DVDs) that can be used to create non-volatile highly-efficient e-paper displays. Oxford established a new company called Bodle Technologies to commercialize this new technology. 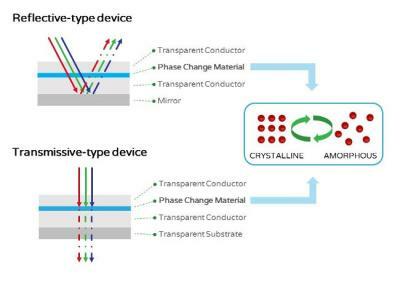 The phase-change materials can manipulate light - by electrical, optical or mechanical means - they can be used to filter, steer or dim light using very little power. Bodle already demonstrated a sub-100nm pixel size and a very rich color gamut (they say it exceeds "other display technologies"). David Fyfe (the executive chairman of Oxford Photovoltaics and the former CEO of Cambridge Display Technology) will serve as executive chairman.